Do you want to start growing mushrooms for profit? In this article you are sure to find a very detailed description of how to do it. Many people are keen on mushrooms. Some of them enjoy mushroom hunting, some people are fond of cooking various dishes from mushrooms, and other people prefer eating mushrooms. In case you consider the possibility if growing mushrooms for profit, you should know how profitable it is. However, one needs to be aware that the process of mushroom growing completely depends on the knowledge and its correct implementation. That’s why not everyone can start this business. People, who live in the countryside, summer visitors and the owners of spacious back rooms, hold all the cards to put this business idea to life. In general, the most popular kinds are oyster mushrooms and champignons. The technologies how to grow these two kinds of mushrooms are alike, but still there are some differences. 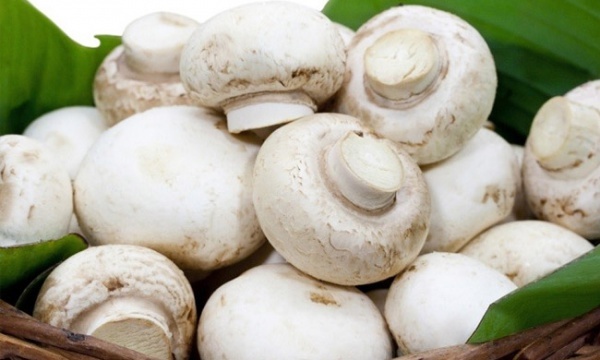 Almost all mushrooms growers insist that it’s more difficult to grow champignons, because they are more fastidious to the quality of the growth medium and floccus on which they grow. 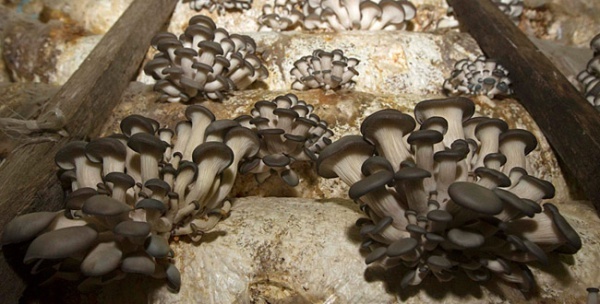 Growing champignons requires more expenses, than growing oyster mushrooms. What’s more they need very thorough maintenance of all technological processes. Due to all above-mentioned considerations an aspiring mushroom grower should better begin with growing oyster mushrooms and only later master how to grow champignons for profit. However, if you are confident you can do it, you perfectly studied the technologies and you have all needed resources, nothing prevents you from growing champignons. any abandoned industrial or farm buildings. Not less than 12 degrees C and not more than 25. The air humidity must be rather high – around 85%. Basements perfectly correspond to all these requirements. The room must be provided with electricity. Water is also very necessary to grow mushrooms, that’s why make sure you always have access to it. Besides, the room must be equipped with drain in order to remove excess water. You will also need conditioning and heating. There may be various options of heating: electricity, gas heating, wood stove or carbon-furnace. The size of the room may be different, but not less than 15 square meters. On one square meter there are usually situated from three to five blocks – sacks with nourishing substance that feeds mushrooms. Speaking about air humidity, if you grow mushrooms in small amounts, you will easily achieve the required humidity by irrigation of the sacks with nourishing substance, where mushrooms grow. If the size of manufacturing is rather big, the humidity of air is maintained by the electric system of air conditioning and humidifying. As soon as you find the needed place, you will probably have to repair it and install the systems of conditioning and ventilation. It is better to make a concrete floor and the walls may be simply whitewashed. The soil on which you grow mushrooms is called substratum. 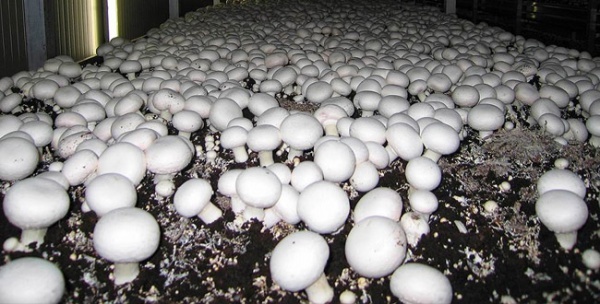 There are farms, which manufacture and sell the ready-made substratum to grow mushrooms. However, you can manufacture it on your own from raw materials. The substratum for oyster mushrooms is easily made: you take straw, sunflower husk or other materials and pour it with hot water. Keep it for several hours and mix with seed grains. Then you put everything in big plastic bags. In the industrial mushroom manufacturing the substratum after infusion is pasteurized in special cameras. 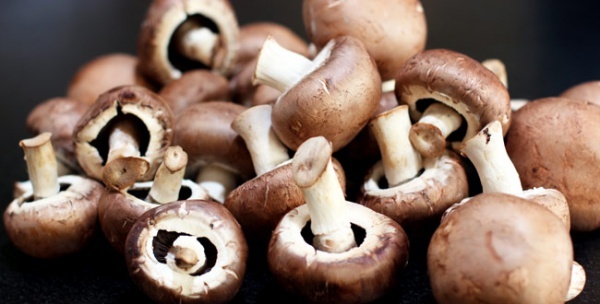 For growing champignons you need compost. You may buy it or make on your own. The second option is preferable, because it’s much more secure and significantly cheaper. Wheat straw is the best for growing champignons. You dry it, crumble up in a special crushing machine and pour with water. Straw perfectly absorbs water, that’s why you mix them in proportion 2,5:1. Then you add muck or chicken manure to the wet straw and leave it for two weeks, providing with the access to air. Usually for compost’s aging people use special aired containers. In such compost champignons feel great and bring huge harvest. You can also use it for oyster mushrooms. They will also grow well. 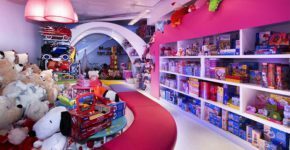 Interesting: How to Open a Toy Store? Seeding material for mushrooms growing is called mycelium. Starting mushroom growers usually buy it in big mushroom farms, which manufacture them both for themselves and for sale. Buying mycelium from the manufacturer you must make sure it is of good quality. It must be white, without stains and have pleasant mushroom smell. Growing mycelium on your farm and its further selling is a very profitable business, but very difficult and painstaking as well. Mycelium is made of the mushroom stock culture, which is regularly renewed lest it lost its qualities. So, we figured out that we need substratum or compost and mycelium to manufacture mushrooms. Both these components are mixed or placed in layers and put in containers. Most often people take big plastic sacks in the capacity of containers, because they are cheap and comfortable. Sacks must be completely filled and at the bottom you must make some holes to remove the excess humidity. Now mycelium must upspring through the substratum. In order to achieve it you should keep the sacks in the room under 22-24 degrees and 60-70% of humidity. This room must be left without light, but with good conditioning. Three days later you should do few cuts on the sacks. Mushrooms will grow through them. Approximately in two weeks the sacks with substratum will become mushroom spawn. Now you need to take them to another room, with lower temperature and higher humidity, where they’ll continue to grow. The temperature now should be from 12 to 18 degrees. It depends on the kind of mushrooms. Some kinds like low temperature, other – higher temperature. In any case it should not be higher than 16-18 degrees. The humidity in the camera must be about 85%. In most cases, to preserve such humidity, people install over the sacks a system of pipes, which have small holes. Water comes through these pipes and hydrates them. The light on this stage is obligatory and it must not last lest than 12 hours per day. If it is necessary, you may install lamps. Every stage lasts 5-7 days, between which there are 12-14 days. The first harvest is usually the biggest, the second and third harvests are smaller. After the third stage the sack with substratum is thrown out and replaced with a new one. So that you made your business of growing mushrooms legal, you should become a private entrepreneur. 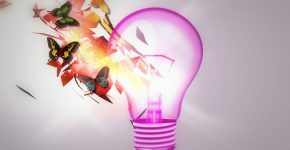 Without it you’ll face some troubles selling your product. 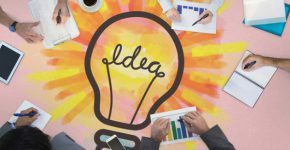 Firstly, you must formalize individual entrepreneurship. Secondly, you must choose the form of taxation. That’s why you should become acquainted with the laws in your country or turn for help to the lawyer. Here you can work with small volumes, but visually your products must look flawless and, surely, fresh. It’s a nice way to create the demand. You do not look for the customers, they look for you. Create a few options of purchasing – for the wholesalers, for the retail sale and for small shops. In order to sell mushrooms to the enterprises you should unite your efforts with the rest of agrarians in your sphere, because they buy only big batches. It will take some time, but will definitely bring stable profit. 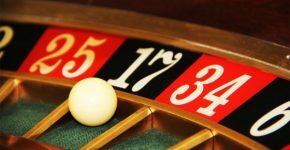 What’s more, you should remember that it is not desirable to make it the only distribution channel, because it greatly depends on other players. The process is understandable, structured and has a certain technology. Everything is thought over and researched for you – you only need to follow the instructions. 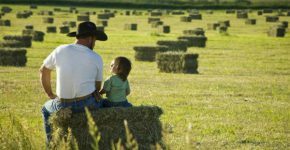 Organic farming and eco-products have become the most popular lately. It partially solves the question of low wholesale price. If you sell mushrooms on the market, the profit is going to be minimal or there will be no profit at all (in case of small volumes). If you deal with eco-stores, even with small volumes you’ll get pretty high profit for development. Besides, if you do not want, you won’t hire the additional workers. It may be only your family business, where you risk on your own, but the profit is also only yours. Just like any agrarian process, growing mushrooms greatly depends on the external factors. Even the smallest problem with conditioning, not enough or too much light and the part of the harvest is lost. The process requires accuracy, attentiveness and well-adjust actions. Growing mushrooms is considered to be the activity of the medium danger, i.e. it presupposes using special clothes and protective means to prevent from the professional diseases. There are hot discussions on how much mushroom spores are harmful during their growth, but one thing we know for sure – you’d better always close your airways and it’s preferable to work in the closed clothes. Quick pay-off is possible only due to the planned and substantial work or due to the previously organized distributional channel for the higher price of “organic” product. In conclusion, we’d like to say that growing mushrooms for profit is a very promising business for those, who are ready to work regularly, preserving the technology and will constantly look for the possibilities for regular distribution. Though there are no specific difficulties to grow mushrooms, you won’t avoid mistakes at the beginning. That’s why you’d better try it on the small volume and, having enough experience, you will be able to increase the manufacturing.